Professional ski racer who is known for competing in the downhill, super g, and combined events. He competed in several World Championships, World Cups, and Winter Olympic Games as well. He first began competing professionally in 2002 at the age of 19 in the Super G event. In 2006, he started competing in different championships. That same year, he competed in his first Olympic games in the Super G, Downhill, and Combined events. He won the silver medal at the 2009 Val-d'Isere World Championships representing Italy. He also won the bronze medal at the Garmisch World Championships in the Combined event. 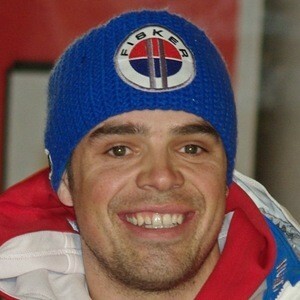 He is the cousin of fellow giant slalom racer Denise Karbon. He beat out fellow racer Aksel Lund Svindal at the World Championships in Val-d'Isere in February of 2009 in the Super-G event.